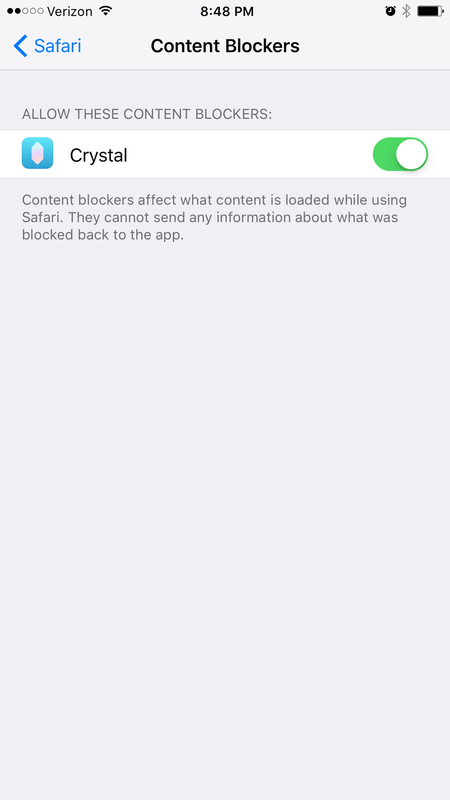 iOS 9 shipped with the ability to enable content blockers. 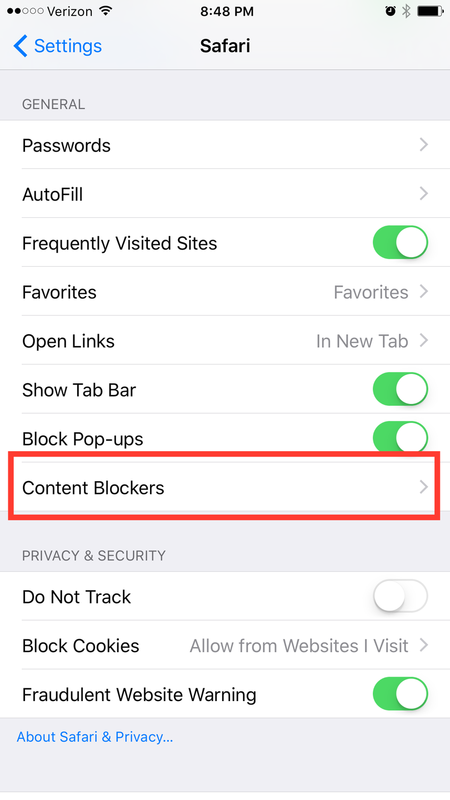 This means that you can enable ad blockers to not only block ads but speed up your browsing experience. 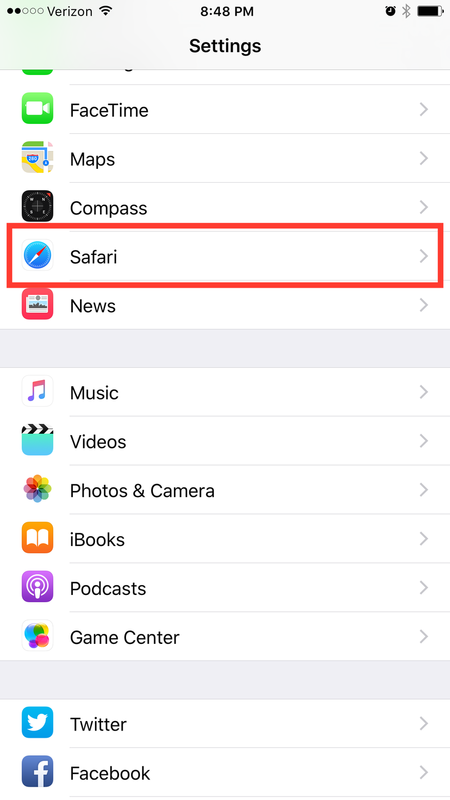 This guide will show you how to install and enable a custom ad blocker. First, choose the ad blocker you'd like to install. There are a few available as of the time of writing this guide. For this guide, I'm going to use Crystal because it's free. 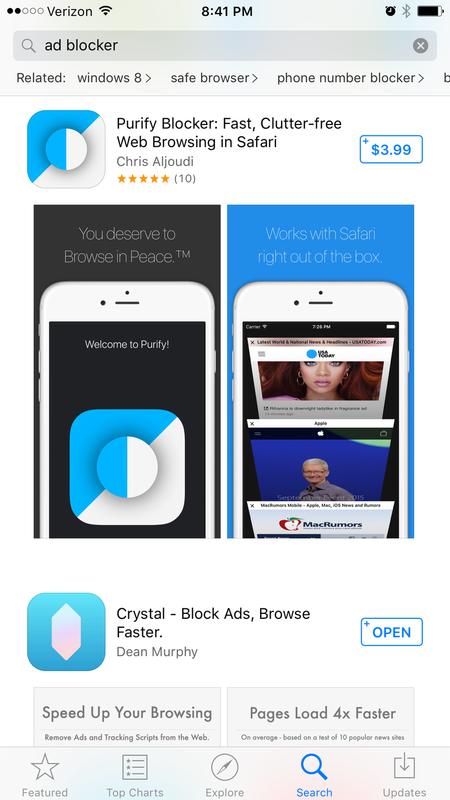 Open the app store, and search for Crystal. Then click to install. If you open the Crystal app, it will provide you with a few instructions. I will also cover them in this guide as they are the same for each content blocker. 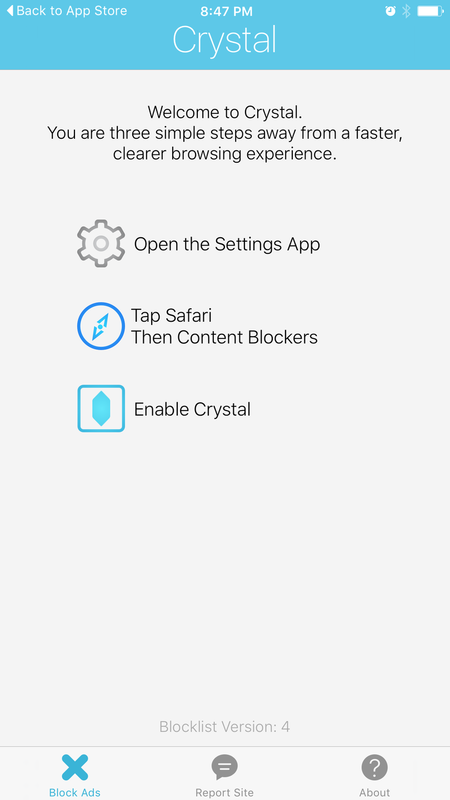 Enable Crystal or whichever content blocker you've downloaded. You can enable or disable each content blocker a simple toggle. After enabling it, you should immediately see it take effect.